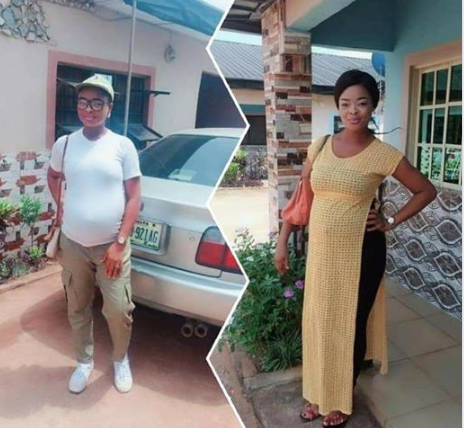 A Nigerian mom identified as Ada Mbaise has taken to social media to celebrate and thank God for her son’s life. 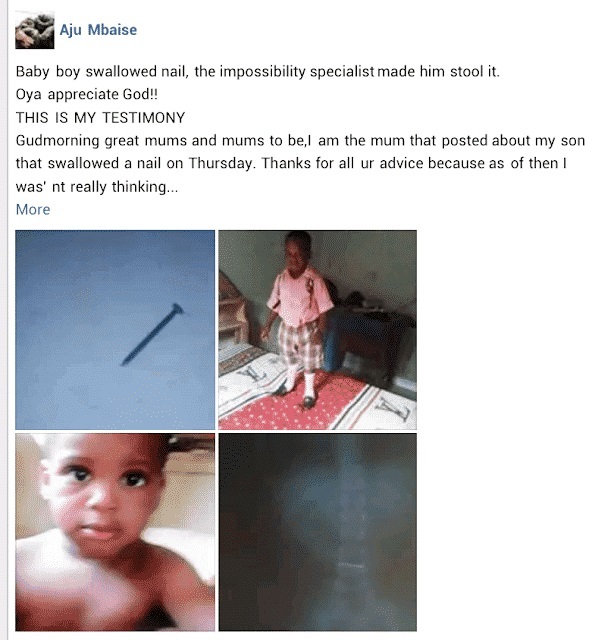 According to her post, her son had swallowed a nail which sent her panicking. 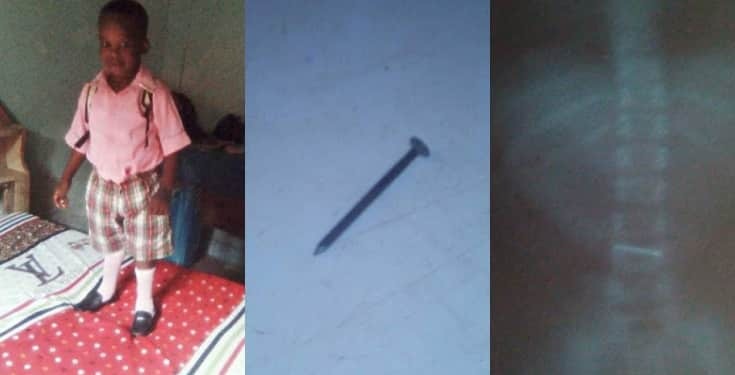 After taking him to the hospital, it was revealed that the nail had blocked his small intestine and a surgery was required. Luckily he excreted the nail a day before he was supposed to go in for surgery. Good morning great mums and mums-to-be, I am the mum that posted about my son that swallowed a nail on Thursday. Thanks for all your advice because as of then I was not really thinking straight so you guys really helped me a lot. 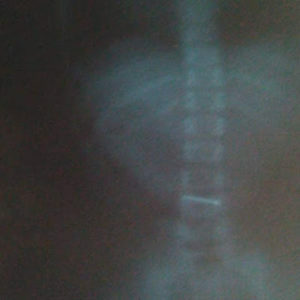 I took my son to teaching hospital, and the doctor referred us to an X-ray which we did and to my greatest surprise, my son indeed swallowed a nail. According to them, the nail has blocked the small intestine which needs an emergency surgery, before we could finish the process and we were referred to a certain doctor, but on getting there the doctor has already gone. So I was told to come on Monday. 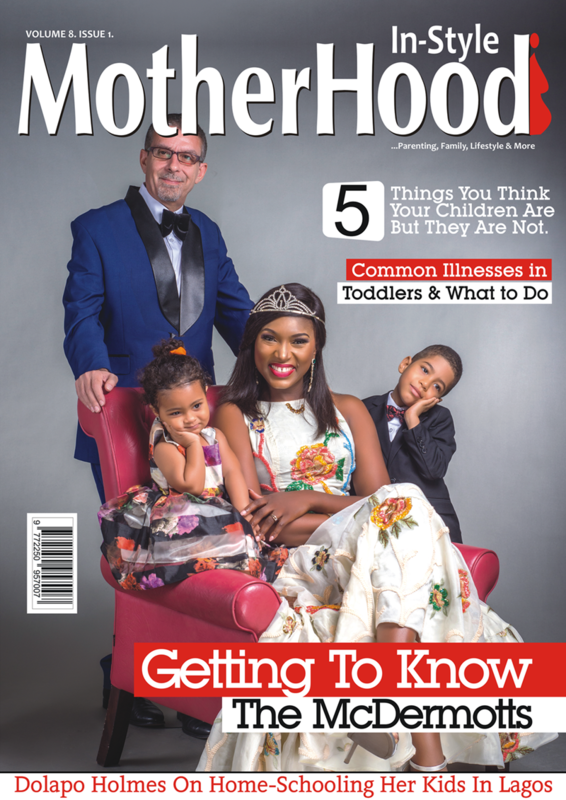 But before the so called Monday, that was on Sunday evening, my God, the alpha and omega, the beginning and the end, the great man in battle, the greatest surgeon performed his own surgery and my son stooled the nail out.